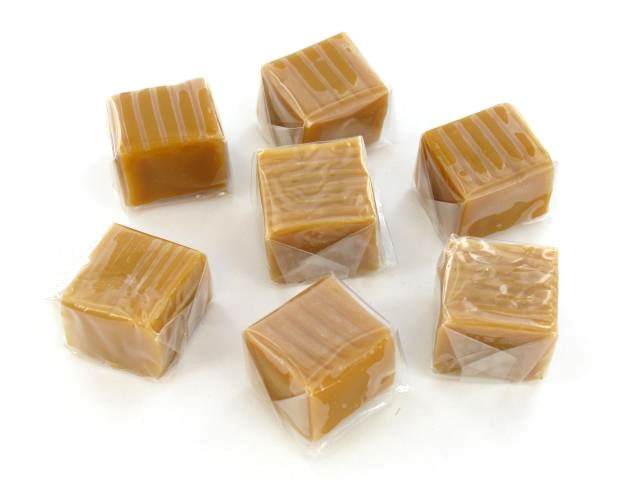 Vanilla Milk Caramels are soft, melt-in-your-mouth and have a sweet flavor and chewy texture. These caramel squares are individually wrapped and can be melted down to use as a delicious caramel topping for caramel apples, ice cream, and pies! The Vanilla Milk Caramels were so soft and wonderfully delicious. I will be buying our candy from Candy Attic from now on and know that I am getting great quality, timely shipping, and freshness.